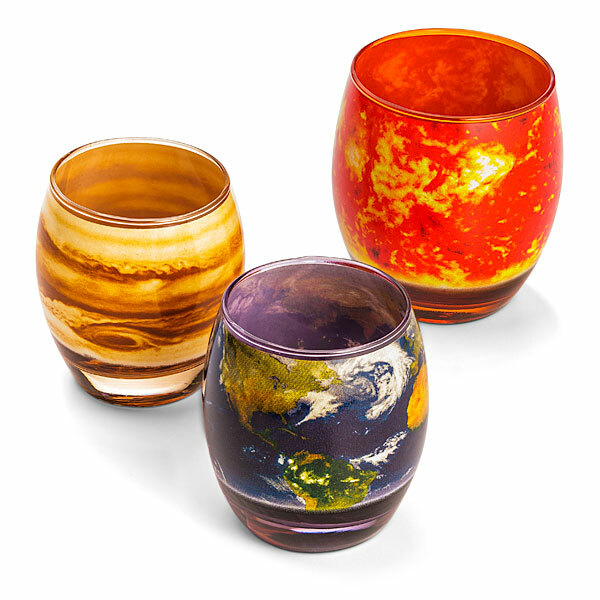 The Planetary Glass Set Is A Great Way To Teach The Kids About The Solar System | OhGizmo! The Holidays seem to start earlier every year, don’t they? But yes, it’s apparently time to start thinking about what to buy your loved ones, and what better to do so than by getting your own family a cool set of Planetary Glasses. Sure, if you’ve got young kids, they may not get the same kind of kick out of these as they might from a brand new tablet [inserting token sad commentary about living in a time where small children are gifted tablets], but once they get used to them they’ll actually learn something about our universe. 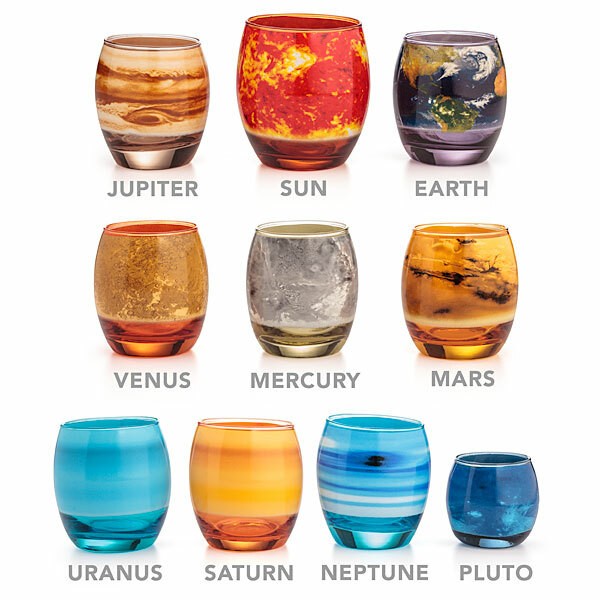 It’s a set of 10 glasses, each made to look like a planet… and yes, apparently Pluto made the cut, although it’s smaller than the others. The Sun is there too, of course, and that one’s a little bigger than the rest. The set will set you back $50, and we think it’s worth every penny.